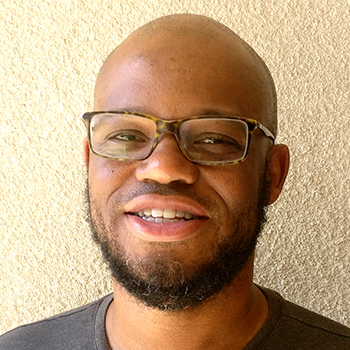 Kenton Reaves Hundley is an inspirational, creative and passionate educator who’s worked with young people for years in order to empower them with the expectation of success, compassion and the cultivation of faith. Kenton has found comfort in building bridges between diverse age groups, cultures and backgrounds for most of his professional life. He has created deep and constantly evolving partnerships with a diverse array of community leaders including clergy, artists, activists and educators throughout the San Diego region. Kenton has been blessed to have had a host of mentors along the way, since moving to San Diego, nearly two decades ago. For the majority of those years, he worked to develop the curriculum and day to day instruction for newly arriving immigrant students of multiple educational and cultural backgrounds. He has collaborated with social workers, clinicians and independent school district personnel to meet the academic and cultural needs of these young people. Kenton believes that all children, adolescents and young adults have the capacity to learn through collaboration, leadership development and honest discussion and partnerships in safe spaces where all those present find themselves willing to learn and share.